Does your child love all things Science? I’m so excited to finally be able to share the Science Birthday Party I created for PBS Parents! My boys love science so this was right up their alley! 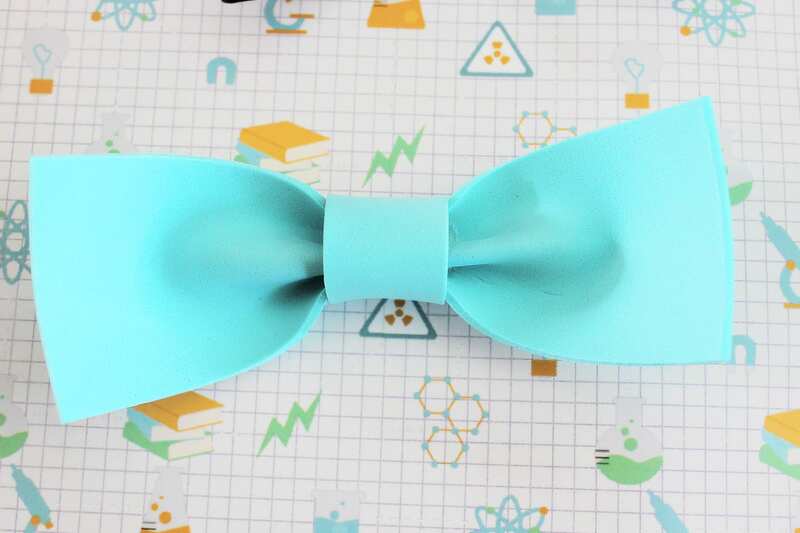 Head on over to PBS Parents to see all the fun details and party plan to help you concoct your own Science Birthday Party! Bring out your inner scientist and head on over to PBS Parents for all the fun! This is adorable and pretty clever! I may have to borrow elements of this for my library! Out theme is Heroes but I am sure there is a way to incorporate scientists as heroes. This party is completely adorable! I love all your ideas. I am a big science nerd at heart. I am hoping maybe one of my kids will ask me for a science party one day. It would be so fun to plan! Thanks for sharing all your ideas! Love love love LOVE the nerds rope DNA strand!! Thank you Nikki, it is one my favs too! 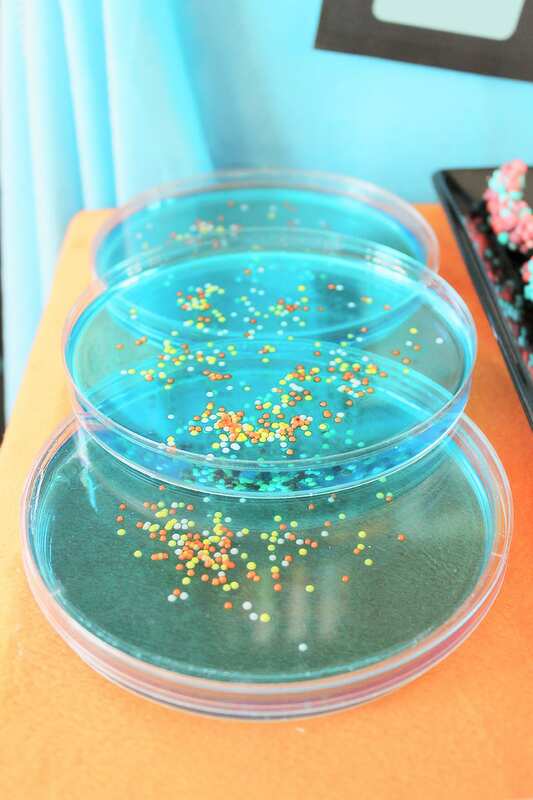 OMG this is THE most adorable science-themed party for kids I’ve ever seen! You made the party look festive and colorful, fun and interesting for the kids, and sophisticated and entertaining for the adults! Love!! This is such a fun party! Love it! Great party Michelle!!!! 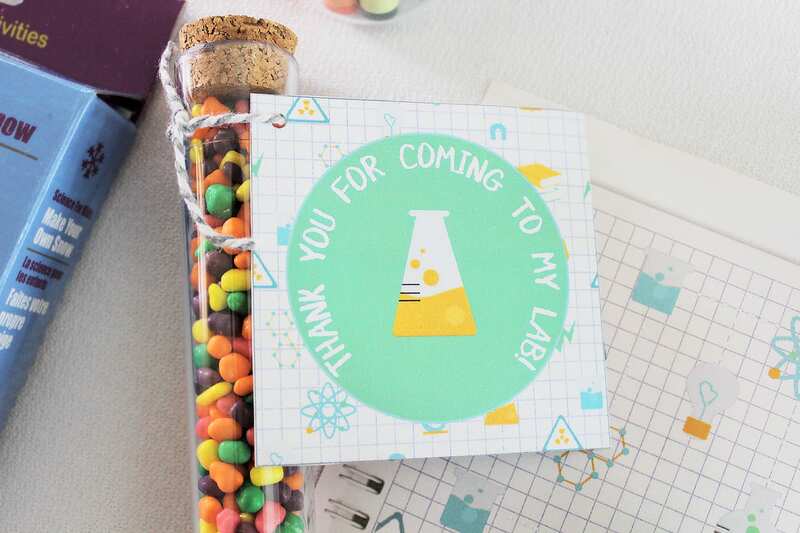 I love all the cute food and sweets (nerds rope DNA being my favorite) I also love how you displayed them in the beakers, petri dish, and test tubes so clever!!! This is such a fun and adorable party. I love it. Oh my goodness, this looks like such a fun party! I love all the little details that you thought of! SO fun! This looks great! I hope to be able to recreate some of your wonderful ideas! I was wondering for the large black “poster” backdrop. What size is that? If large, I’m assuming you got it done at professional print shop? Are the printable decorations easily printable without any adjustments or changes? Any tips on printing the decorations, would be appreciated. I am NOT tech savy at all!